The Fort Mill School District’s proposed higher Impact fee passed?a third reading at the York County Council Meeting on July 16, by a 6-1 vote in favor. The fee will now be instituted on all new construction at $18,158 per single-family home and $12,020 per unit for multifamily dwellings. 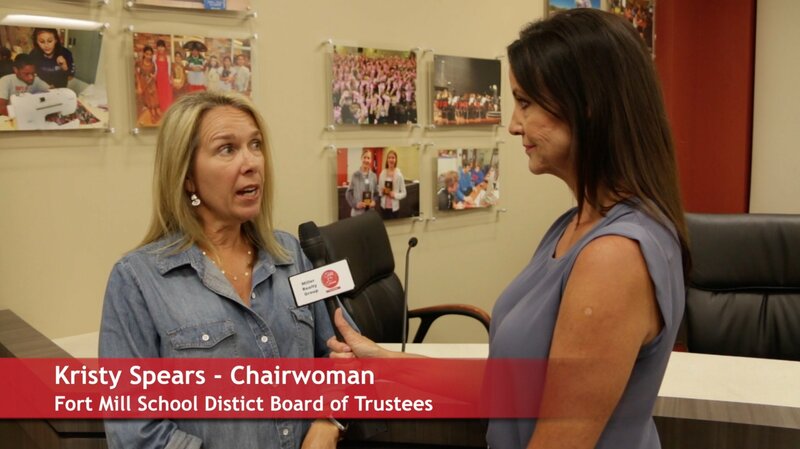 Talk of the Town Carolinas Host Patti Mercer interviewed FMSD Board of Trustees Chairwoman Kirsty Spears to hear more details on what is the new impact fee and what it means to our community. The growth in the Fort Mill School District has far exceeded the original estimates of the 1996 study. The district?s student population has grown at an average annual rate of 6% from 5,929 students in 2002 to more than 15,000 in 2018. This is the highest rate of growth per capita in the state of Scout Carolina. 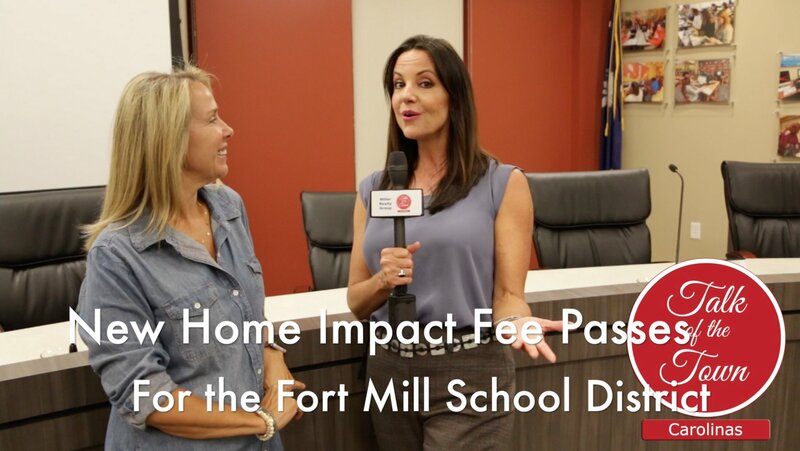 In 1996 a $2,500 impact was put in place to help accommodate the growth and that fee is no longer keeping up for Fort Mill?s growth and expenses. Watch this Talk of the Town video to hear Kristy Spear?s explain why and how the FMSD is tackling this high rate of growth issue.